In American past times, the porch was a gathering point for friends, family, and visiting company. Deriving from the Greek word Portico, the porch has transformed throughout many centuries, waxing and waning through periods of decline and revival. Debate has grown, questioning the necessity of extensive structures that can add unnecessary expenses to a homeowners monthly mortgage payment. Rising costs of housing has left many to wonder whether we really need them or not. This post will take you through a brief history of the porch and help you weigh in on the discussion. Although the exact origins behind the porch as an architectural structure are difficult if not impossible to trace, we do know something about the forces that introduced it into American Society. Originally migrating to North America from Europe, the porch was foreign to the original founders of the country. It wasn’t until the 1840’s and 1850’s that African influences pioneered the idea in America. 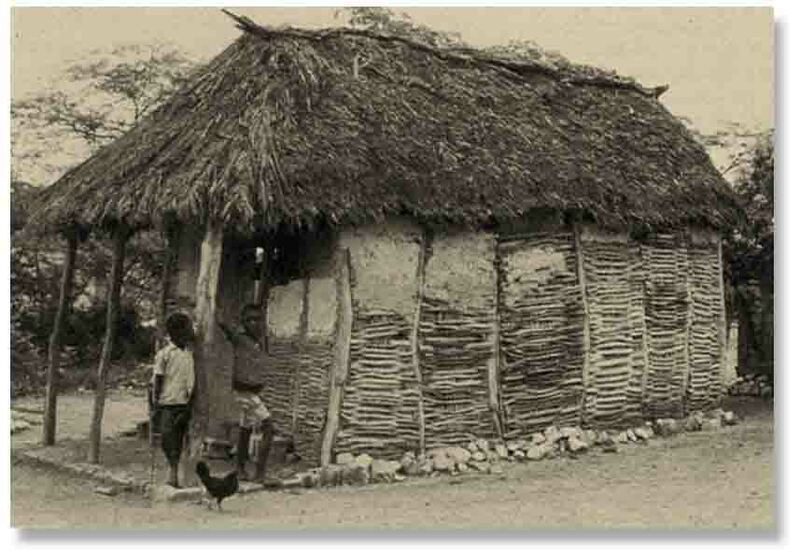 “Shotgun houses” were introduced by Haitian refugees fleeing from civil unrest surrounding the actions of Toussaint L’Ouverture. Originating from West Africa, Shotgun houses were then built in the states by African slaves. This architectural style began in the South and soon spread elsewhere in the country. Shotgun House at the Augusta Riverfront Site. Image via New South Association. 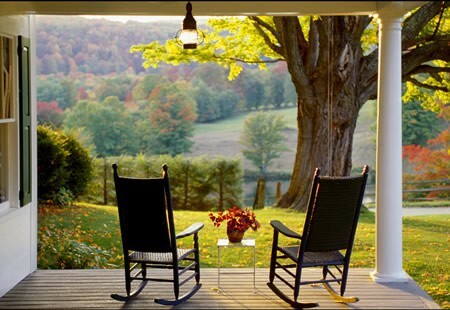 Two things led to the adoption of the porch into popular American culture; Technology and changing Social factors. The Industrial era created a new class of Americans that had more time on their hands. This new social group was called the “Leisure Class.” Technology also played a role in the popularization of the porch because new tools made it easier and financially feasible to construct exterior structures. Outdoor living areas added beauty to a home’s facade and connected individuals with the great outdoors. This was especially poignant during a revival in the natural landscape. 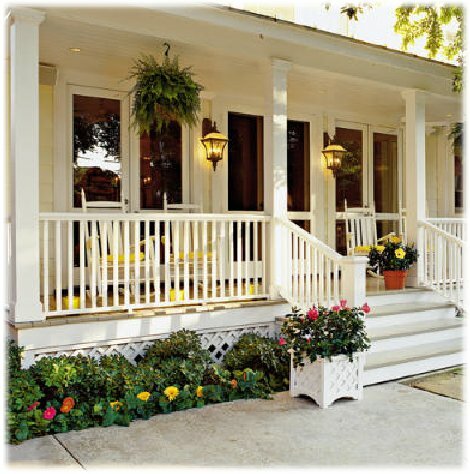 The front porch became a staple in American history, serving as a gathering point for the entire family. This improved social cohesion among neighbors as it became common to exchange stories or console in a close friend about a recent event. In warm Southern States, the porch provided relief from the heat, allowing its occupants to catch a cold draft and watch the stars at night. The porch was a universal space that transitioned between indoors and outdoors, creating a sense of security for many. A buffer between the private and public. A place for reflection and a place to sit back and watch time pass. 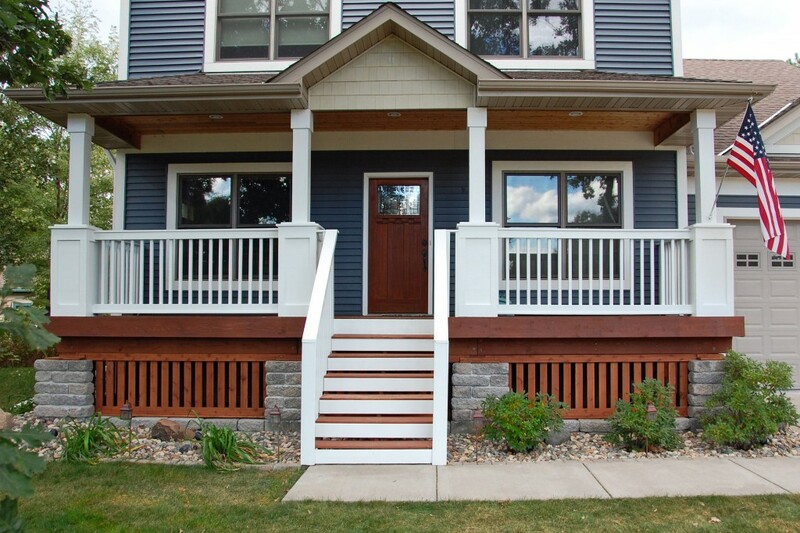 The front porch was a multi-purpose space that soon began to lose interest due changing times. Image via Good Stuff Guide. In the same way that it contributed to the acceptance of the porch, technology also played a role in its downfall. During the 1930’s, automobiles were a hot item that could be seen zooming down the streets everywhere. This altered the serenity of the porch by filling busy streets with loud noises and air pollution. The front yard soon became a danger for children at play and as such, backyards replace porches and became the primary place that young children were allowed to play without supervision. The advent of the Air Conditioner meant people had a new way to keep cool. When it’s hot nowadays, everybody stays inside. Back in the day, the only solution was to sit out on the porch under the shade and catch a cool breeze. In contemporary times, technology continues to bring people indoors to watch TV, use the computer, and play video games. Elise’s Front Porch Reveal on her blog. The front porch has been romanticized in American culture as many continue to reflect on our nostalgic past. Synonymous with the revival of traditional American ideals, traditions, and past times, American have sought a return to the “good old days.” We have all witnessed the backyard patio become the location of BBQ’s, birthday parties, and even movie nights. Offering a higher level of privacy in contemporary times, many Americans have moved their activities to the backyard. Although there is no definitive answer as to whether the Americans will revisit the porch, it has remained in the hearts of many. If the phrase “History repeats itself” is telling, we may see a resurgence of these architectural structures in the near future. Image via Eugenia Mariae Fendy. Patio Productions is your source for environmentally friendly outdoor furnishings. We offer the lowest prices on a selection of outdoor sectionals, day beds, chaise lounge chairs, bar sets, and more. Stop by and visit to spruce up your home! Kahn, Renee and Ellen Meagher. Preserving porches. New York: Henry Holt and Company, 1990. Cheryl Khan is a designer and freelance writer. She is one of the contributors to the Patio Productions blog and loves finding great stories to present to readers. Her favorite color is pink and she would be a flamingo if she had to be an animal! You can contact her by sending her a tweet @SuperInteriors!